Apliquick™ Applique Tools for precise appliqué here in Canada! First Canadian resource for APLIQUICK supplies. 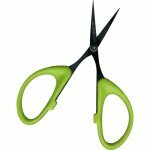 The Appliqué tools, are rods milled from stainless steel and designed with different, multi-functional tips. Developed for faster, easier results in patchwork appliqués. Suitable for sculpting larger, medium and primarily for thumbnail sized workpieces as shown here. This innovative technique avoids the basting step and helps create perfectly rounded shapes, angles--especially for miniatures! 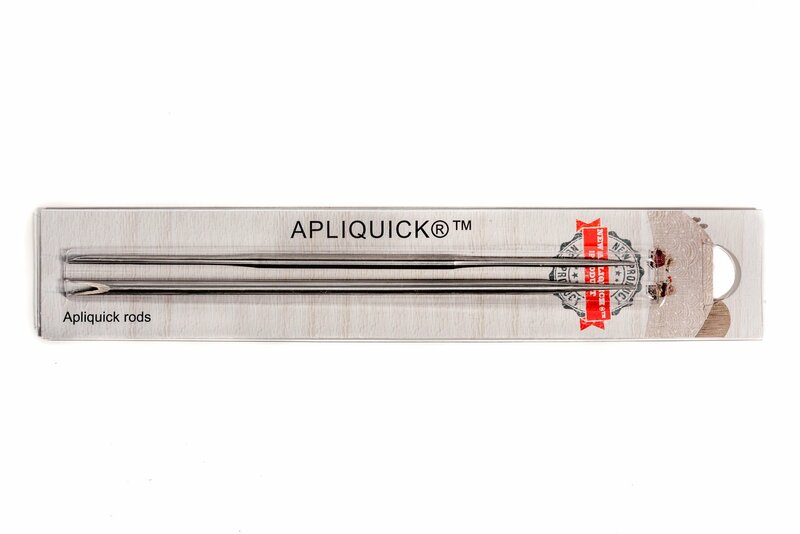 APLIQUICK™ is a patented technology and a registered trademark, which originates from Spain. 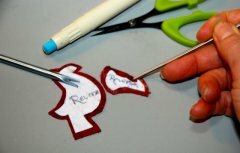 Click for Apliquick™ Article for how-to use this new tool for turned-edge, glue stick method of appliqué. For convenience choose our Apliquick™ ToolKit combination which includes: tools, glue pen, & perfect stabilizer.